It’s been a funny month, on one hand we have had a lot to celebrate with Father’s Day and MM’s 3rd Birthday all in the same month but also we have had bad news both in the media about leaving the EU and at home. It’s definitely been hard not to let our struggles that are challenging us at the moment plague these great celebrations. I have wrote about when life gets harder how we need to share it. I am not one to sugar coat anything on LTM. I will share the highs of our live as much as the lows because life isn’t always blossoming. It’s the end of June, I have to say I am so glad to see the back of it. Bye, bye June and hello July. Mostly because we are off to the states come the middle of July for the summer and I am desperate to be home this year. (ok, I say that every year). However, to the kids it’s been a month of amazing celebrations and happy times. That’s one thing I will always protect them from is the heavy weight that life can put on us sometimes. While they are young all they need to experience is happiness, love and life to it’s fullest. We have been busy each weekend with parties, swimming, playdates, friends and family around having dinner and park hops. The kids have had a wonderful month together. I actually think June has been the best month for my two together. They have been more attentive to each other maybe they six senses that Mommy has been overwhelmed with a few things and so they support each other more than usual. They have had more bonding moments over the last few weeks than I have ever seen them have before. Mr P and I have witnessed them snuggling up and telling each other they love each other and are each other’s best friends, on numerous occasions. On MM’s 3rd Birthday I was afraid B would feel left out as we normally do a double birthday party so there has never been a time she got presents and he didn’t. He really stepped up to the plate, kept singing her praise that it was her day and all about her. He sat back while she opened presents and even offered to help me clean up after our family birthday breakfast. That day will forever be engrained into my memory as they played together so sweetly in the swimming pool and then afterwards at soft play. A few times even protecting each other and standing up for one another against some older kids that were pushing them around. I know they will forever be a team as we are as a family too. We will come out of this tough time stronger and together as we always do. Celebrating Father’s Day and MM’s 3rd Birthday. Designing MM’s new big girl bedroom. (room tour coming soon). Attending BritMums Live, thanks to my Sponsor, Bobux Shoes. Making Daddy a Father’s Day card. Getting new big boy glasses that rock. Celebrating her third birthday which was huge for both of us. Swimming at my gym (always a winner on this list). Celebrating Father’s Day with Daddy. This month has been tough getting the four of us together for a photo. With stitches in my face which you luckily can’t make out here because it looked like I was growing a goatee, I have been hiding from the camera. You can spot a few places on my instagram where I look like I don’t know how to clean my face properly. Either way, these two captures were taken before a family party we had to attend on Father’s Day. I absolutely love them. Not because they are anything special but because it reminds me of what’s right in front of my face that is so amazing. They remind me the smiles on my kids’ face is more important that the issues going on around us at the moment. They remind me that family is so important, more so in the bad times of life when we come together and support each other. I am so grateful for my beautiful little family each and everyday. They warm my heart knowing I have them in my life. This month, we have come together as the family that wears shades together. Life is never too tough to be silly and laugh with the ones you love the most. Take a peak at our family in JANUARY, FEBRUARY, MARCH, APRIL, MAY here. 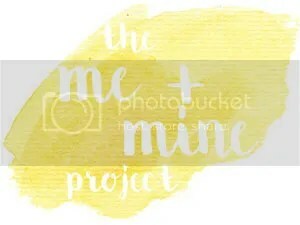 Come check out the lovely HOST and COHOSTS of the Me & Mine Project and see their gorgeous family captures. Dear Beautiful, Mummy Daddy Me, Tigerlilly Quinn, Bump-to-Baby, and Capture by Lucy. Why not join us in sharing your family and hashtag and following #meandmineproject on instagram, twitter, or facebook. Thank you so much. She had such a lovely day.I was a little emotional but I think that is a given turning three. You’re always so busy Jen. Super Mum. 🙂 Lovely summery photos. I love the sunglasses. Yes I don’t think that will ever stop. I always have plans of no plan weekends and somehow they always get filled and it all runs into together. Thanks lovely. It must be the summer vibes in the air for siblings. It’s been a tough one for us adults but loving that never affects the kiddos. Roll on July and some summer weather too please. Oh i’m loving the shades! Super cute!! Hope MM had a fantastic 3rd birthday! I agree, so long as the kids are smiling, the rest really doesn’t matter. Beautiful photos. Yes she really did hun thank you so much. We always try to keep the kids smiling even during the tough times because afterall they shouldn’t be affected by anything at such a young age or have to deal with moody parents because if it. Thanks for your kind comments wish we had a few more from this month but it’s just one of those busy months when the camera hides. Love these pictures, so summery and fun! Sorry to hear that things are hard at the moment and hope that they will improve soon for you. Can’t believe you are heading home again so soon.. it seems like not that long ago I was following your vaca updates from last year! Normally we are already in the states for the fourth of july so this year will sadly be a little down in celebrations compared to the parades, parties and decorations. I will probably make some good 4th of July bbq food rain or shine and put up some decorations for the kids to celebrate still. Yes it’s come around so quickly thankfully. I can’t wait to be home again. Yes I totally agree I do think this year all my favorites have been the ones we are being silly and just grab my iphone to snap up. Thanks lovely. Thanks babes. I know I was a little scared he was going to be asking for presents of his own because it was the first time they have ever celebrated it separately. But he was SO good with her and made it really special for her. I was a little emotional watching them over breakfast to be honest. I know when times are tough you just got to focus on family and kids. Somehow they make it all seem better in ways adults can’t. They simply life for us a bit which is definitely needed. So lovely to see you babes BML16 hope next year I get to chat a bit longer. Thanks for your lovely comments. We love rocking the shades rain or shine! I will try my very best to send it to the UK virtually for you all to enjoy too because by the looks of it, it’s raining and freezing this week and July isn’t holding any promises. 🙁 Thanks lovely we rock the shades rain or shine… trying to convince ourselves it really is summer time. Thank you Caroline so lovely of you. Definitely holding out for July to be a better month all around but at least I know I will end it in the states. Yes it definitely is always amazing to see you and get baby cuddles at the same time too. Ah Jenny I love this month’s sun glasses shots, you all look so very cool. I know what you mean about the month’s very low point, it’s come as such a devastating shock! I still haven’t got my head around it all. Also totally agree that kids should only know happiness and kindness.